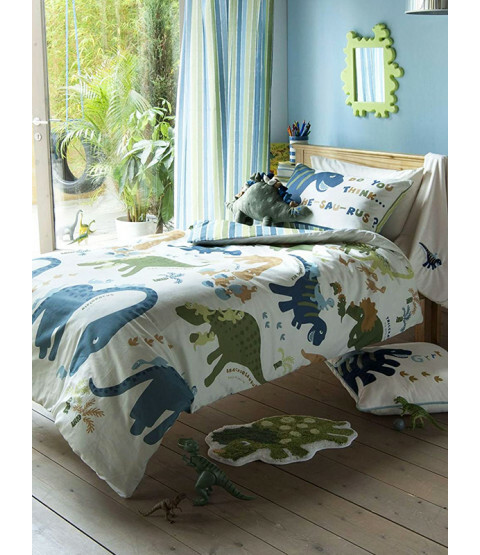 This fun Catherine Lansfield Dinosaur single duvet cover set will add a colourful finishing touch to any bedroom. 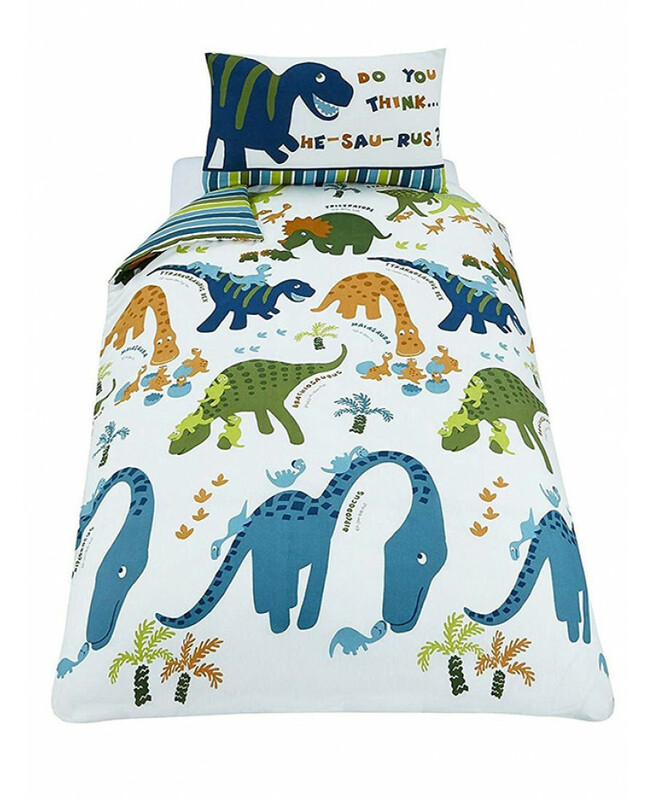 The reversible duvet cover features a collection of green and blue dinosaurs on a stone coloured background with their names spelt both actually and phonetically to help your child to learn. The colour scheme is continued in a coordinating stripe pattern on the reverse, giving you two great designs to choose from. Made from a polycotton blend, this bedding set can be machine washed and tumble dried on a cool setting.